Before the advent of the Internet, paper directories were one of the few means of advertising available for businesses to use to attract new customers. While this type of advertising is still used, companies are looking for more advanced platforms to expand their business globally. Over the years, SEO marketing and online directories have developed, offering useful tools that make them superior to paper directories. In this article, we’ll take a look at the reasons why SEO marketing has effectively killed paper directories. Unlike a paper directory, social networks allow companies and consumers to interact with each other. Consumers can directly link to your Facebook page to receive continued updates and exchange their opinions about the product. Unlike with the old paper directories, you can also update your web page instantly. Consumers’ opinions can be immediately incorporated into new strategies. In the past, a company’s marketing approach was confined only to the local community. With SEO marketing, you can reach the global audience. It is easy for anyone with an internet connection to go online and search for the best restaurant or latest fashion store in the area. Consumers can use any of the search engines such as Google, Bing or Yahoo! to look for their favorite product and immediately get the results. In other words, having a global audience can promote sales for companies that engage in ecommerce. Today, people rarely have time to catch their breath, sit alone and flip through a directory for some information. For instance, if clients need information on multiple things, they have to flip through multiple directories. This is a time consuming task and will clutter their work space with bulky paper directories. Search engine optimization helps consumers to access relevant information instantly, no matter where they are. If they are on the go and need information fast, instead of running home they can just whip out their smartphone or tablet and access the required data. Likewise, SEO marketing is an efficient method for a client to find a company. Flipping through a paper directory consumes their precious time. If a client wants to discover the working hours of a company, he has to spend a lot of time making calls to the company. Also there is no guarantee that the company on the other end of the call is what he was looking for. If it is not, he has to repeat the procedure for other companies until he finds the right one. With SEO marketing, he can easily figure out if it is the right company with just a click of a button. How can you really keep track of how many clients have read your marketing messages when you have advertised on paper? Although thousands of people have received the paper, not all of them have spent time looking at the ad you have published. With SEO, you can find all sorts of records. You can find out how many clients have visited your site, how they were directed to your webpage and so on. When you advertise through paper, you can update your ads only on its next edition. This takes a long time for the updates to reach your audience. 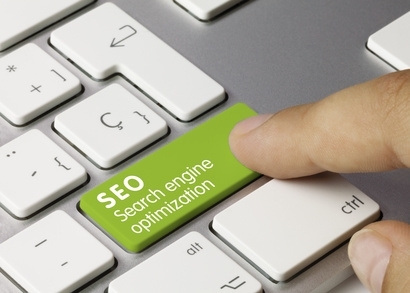 With SEO, it doesn’t take more than a few clicks and keystrokes to update your content. With all these benefits offered by SEO marketing techniques, you no longer need to rely on paper directories to get the word out. If you want global recognition for your business, SEO marketing is the best way to go.